Unleash the SECRET to a Better Life… with the help of your DOG. Want to know how to turn your life around and what can lead you to Love, Life, and Happiness? Sheryl reveals how your four-legged friend leads you to better relationships with the humans in your life! Find out how to apply some of your dogs’ traits to human interactions to resolve the conflicts and dilemmas that may be robbing your life of joy and the fulfillment you deserve. Discover what your dog can teach you to attract the life you want, and improve your relationships whether with a special someone, a spouse, friends and family. 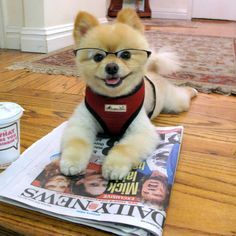 Stories and interviews with dozens of dog lovers and hear from celebs like Cesar Millan, Richard Belzer, Monica Seles, Howard Stern, and Rachael Ray. If you answered yes to any of these questions, you’ve found the right book! 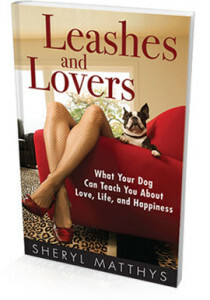 In Leashes and Lovers, Sheryl reveals how you can make life changes and have a fulfilling life of love, and happiness. DOWNLOAD in 60 seconds to your Kindle.